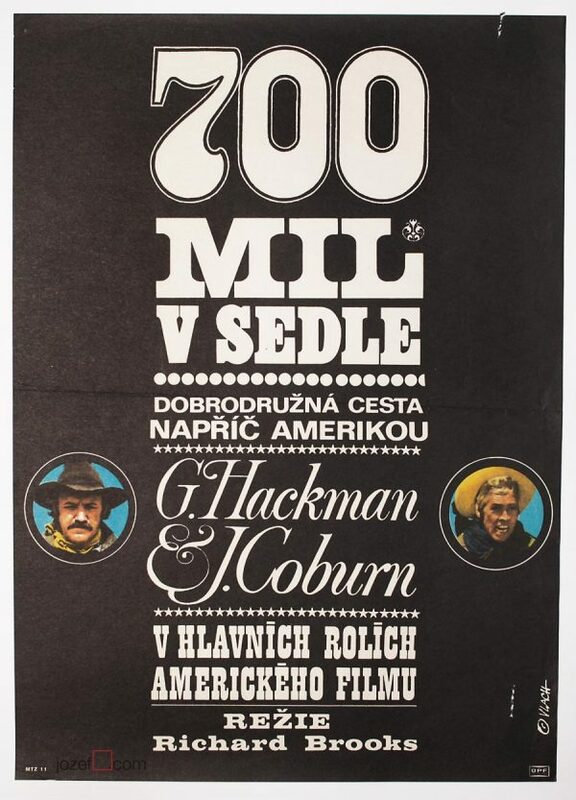 Western movie poster designed for famous 60’s Czech musical with excellent illustration by Jan Tománek. 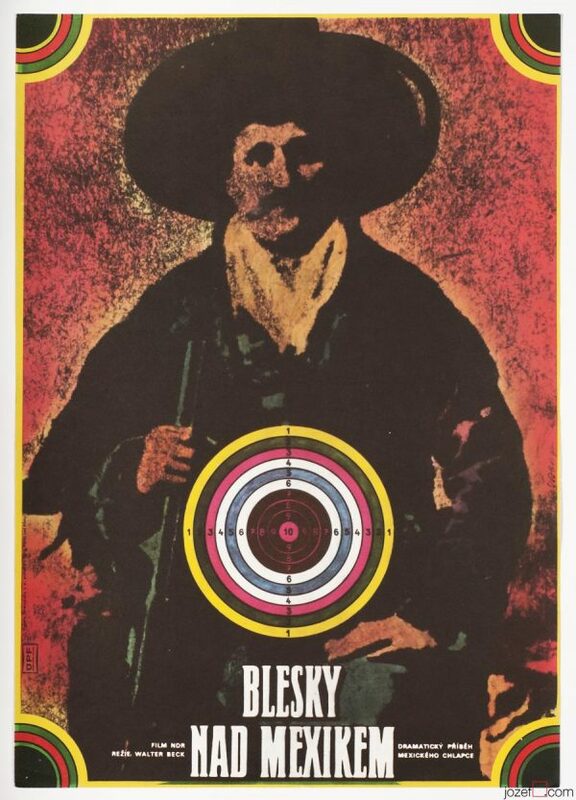 Illustrated poster version for 60s Czech western comedy. Poster is unfolded. Slight crease and occasional tiny cracks on edges. Folds in corners. 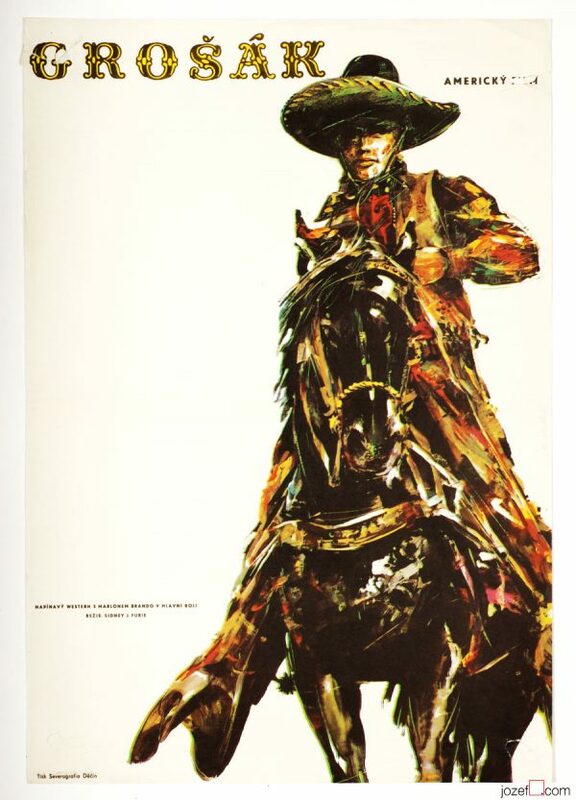 Movie poster is in A3 format (40.5 x 28.4 cm). Excellent condition. (NOT PHOTOGRAPHED, PLEASE ASK IF YOU WISH TO SEE A PHOTO). 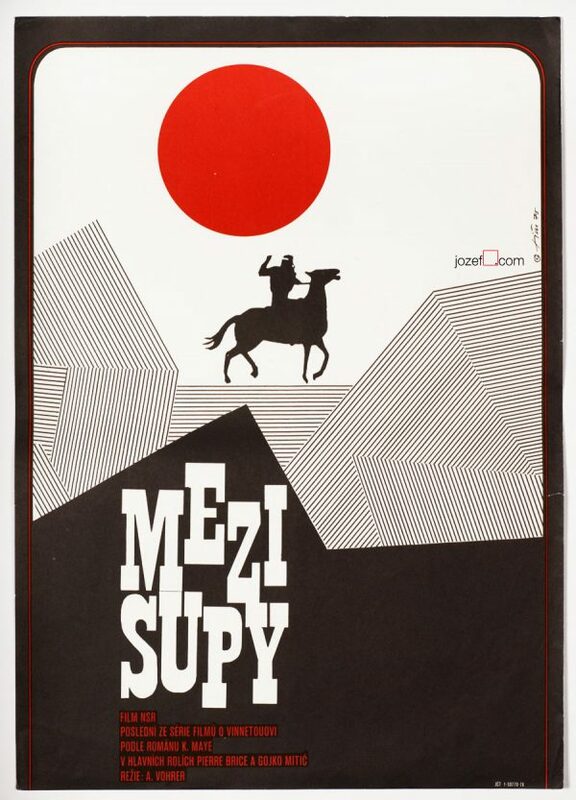 western posters made in Czechoslovakia. movie posters designed by Jan Tománek. 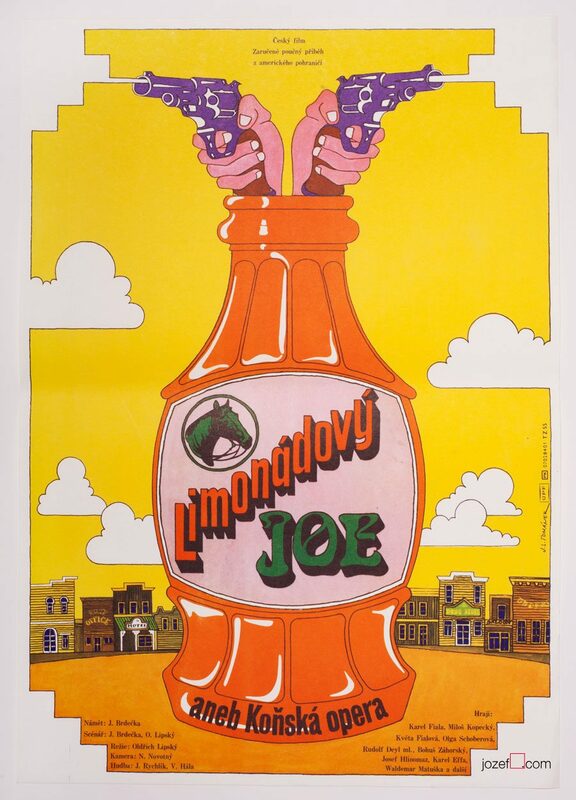 Be the first to review “Movie Poster – Lemonade Joe, Jan Tománek, 1984” Click here to cancel reply.